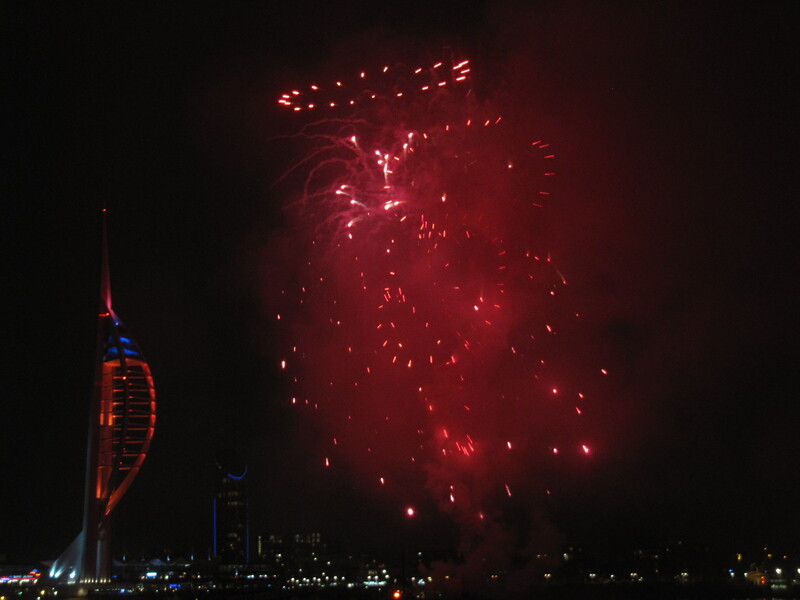 This marks my 1ooth post (sorry for all the spamming over the past couple of months) but I thought there was no better way to celebrate it than photos of fireworks. 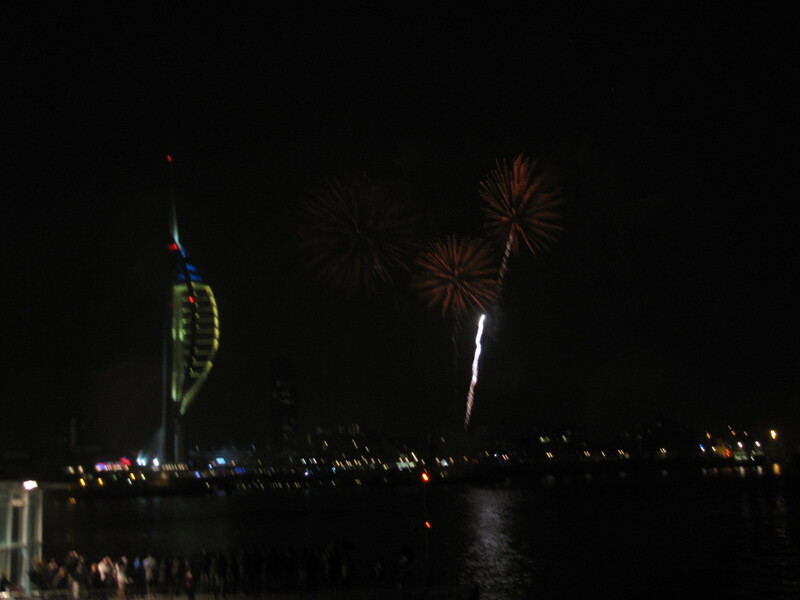 yesterday Gosport had its own fireworks display, I didn’t see it but I’m guessing it was pretty lame, it always is. 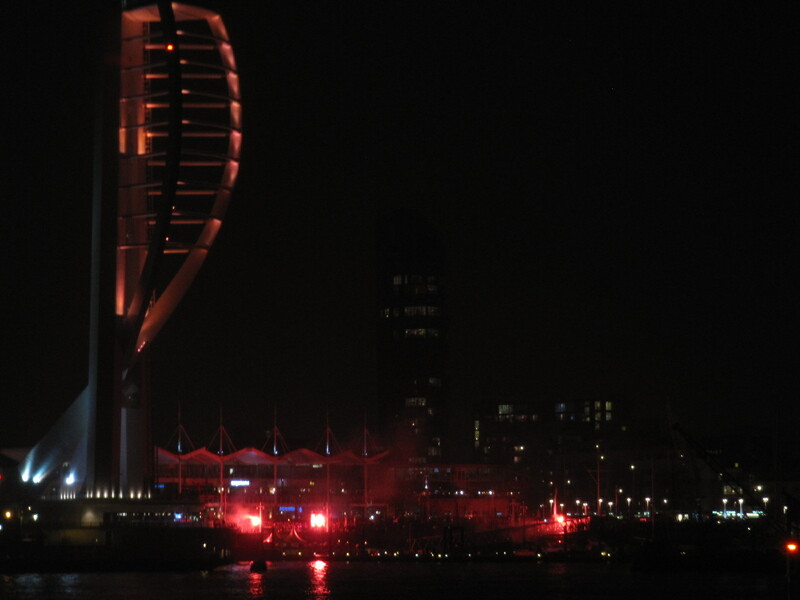 Gosport doesn’t tend to do things too well. Instead I spent my evening watching my god sister (my mum is her god mother and her mum is my god mother so we’ve kind of adopted the term god sisters) blowing an audience away as she tackled the part of Ariel Moore in a production of Footloose. 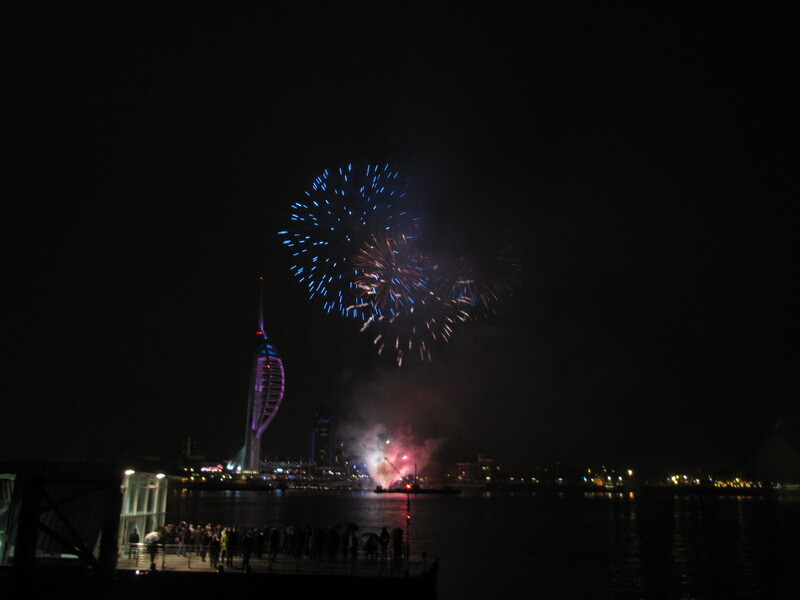 But today I walked down to the ferry with my mum and stood at the waterside as Portsmouth put on a show from across the water for a reason I have yet to discover. 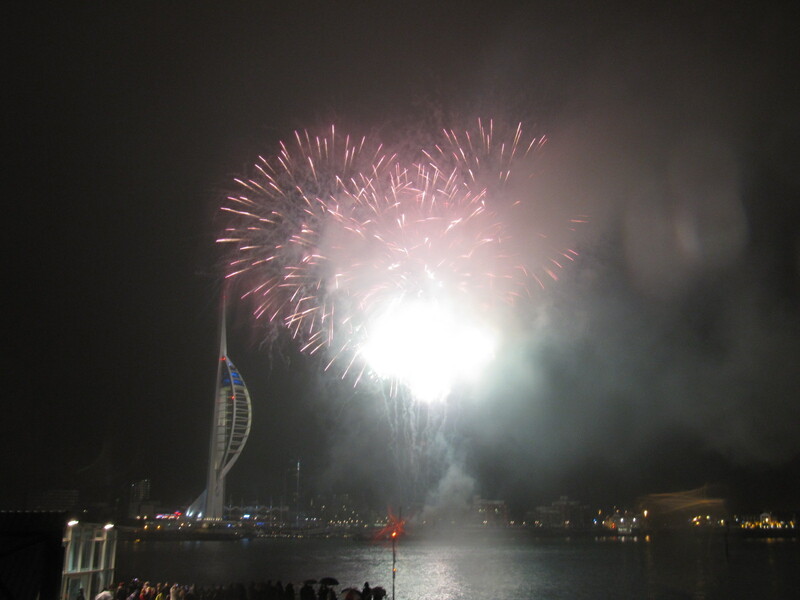 The fireworks took place at Gunwharf Quays beside the Spinnaker Tower. unfortunately, before it even began rain started to fall, but of course what event in England wouldn’t be complete with a smattering of typical English weather. It started kind of weirdly. 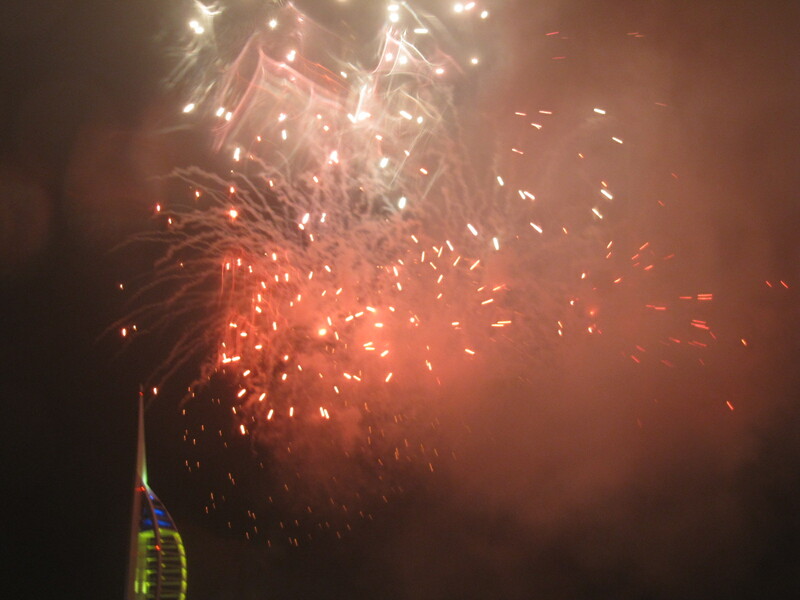 Music was playing but by the time it reached our ears it was slightly muffled, but we could see the red lights moving about, but soon enough everything was going bang and being all smokey. The little kids nearby were doing all the ‘ooohing’ and ‘aaahing’ even at the ones that fizzled out rather quickly, there were loads of people with all those tacky flashy and glow in the dark things (that’s not say I didn’t want one though). 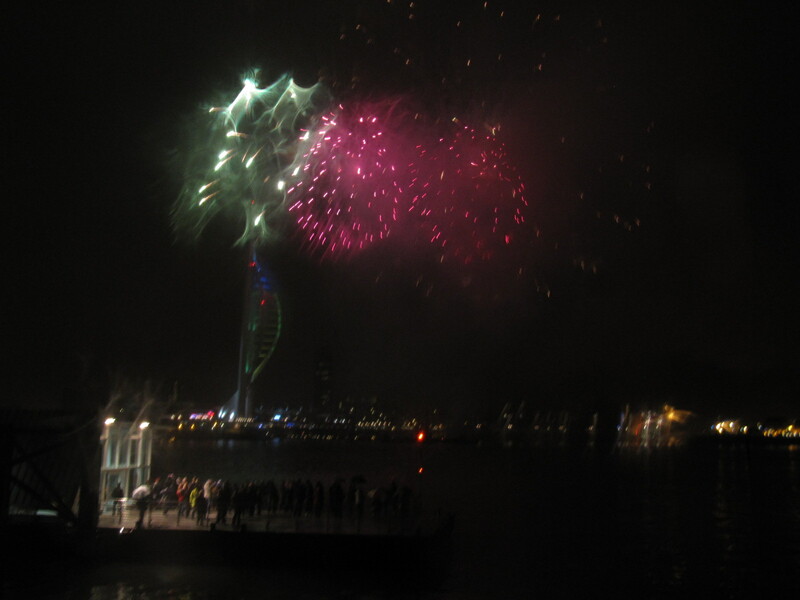 Then the rain stared to fall a bit harder and a few of the photos became a bit blurred (I’m still shivering from the weather). This one kind of looks like an owl with a halo. 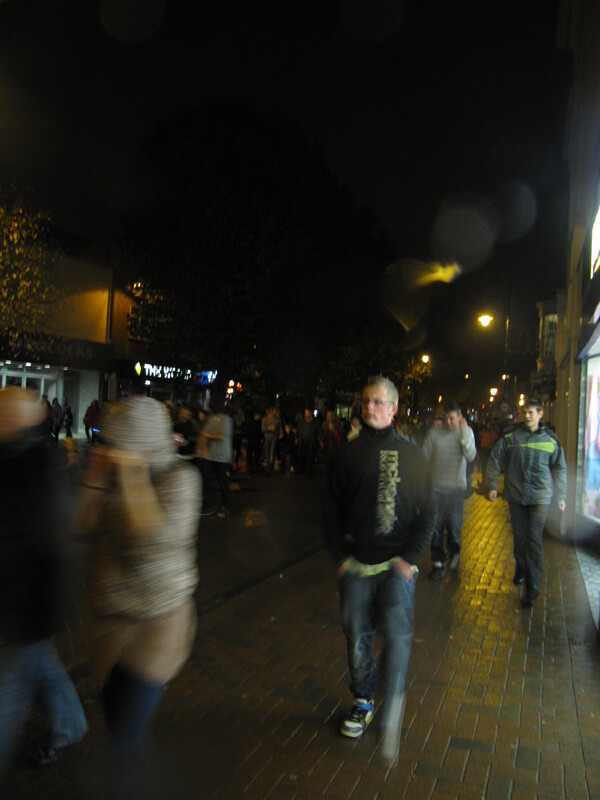 However, the most noticeable thing about tonight was the people. 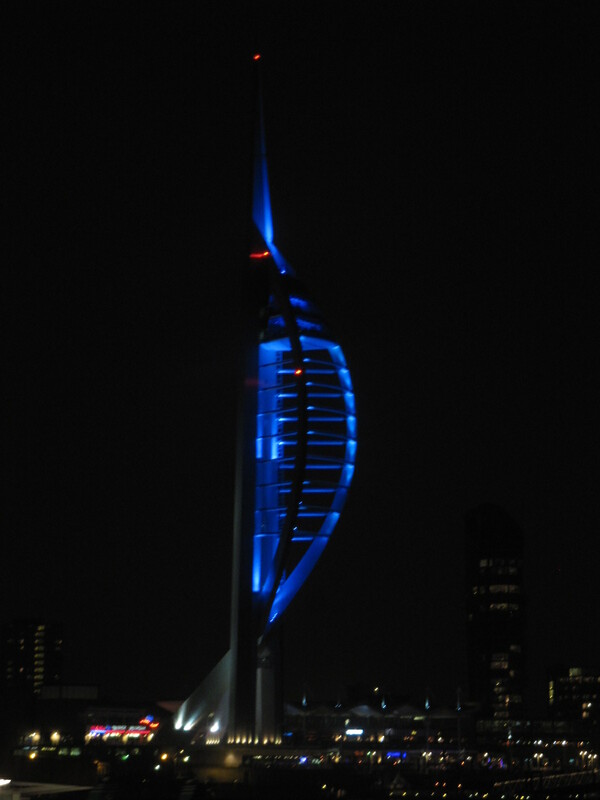 I didn’t know Gosport had people….but there are so many. 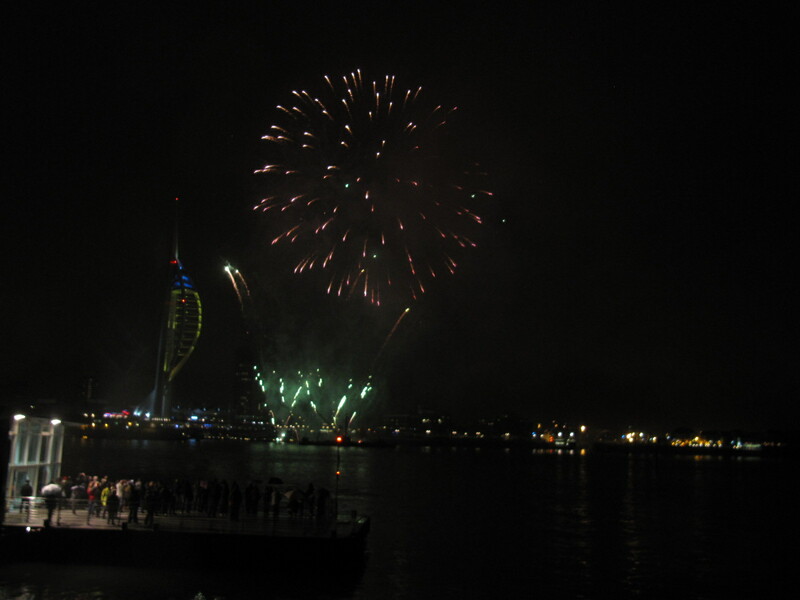 This entry was posted on Friday, October 28th, 2011 at 23:16	and tagged with England, Fireworks, Gosport, Gunwharf Quays, Portsmouth, postaday2011, Spinnaker Tower and posted in postaday2011, stuff. You can follow any responses to this entry through the RSS 2.0 feed. « Campus is Closing Down.